The natural beauty of West Sumatra Minangkabau summarized in the ground fully. From the charming beaches, canyons and valleys that stretch of marvelous, natural contours ornament in the form of mountains and hills, and not least, the beauty of the lakes are stunning. 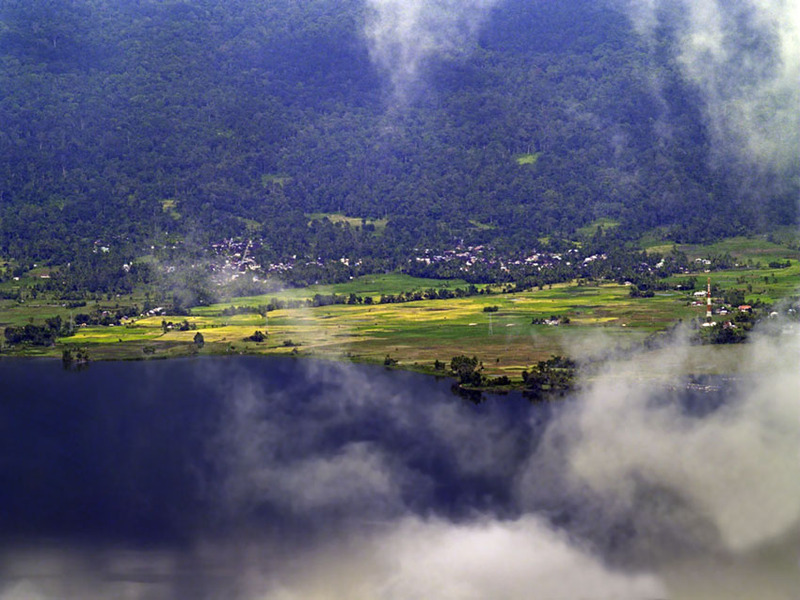 Undoubtedly, one of the lakes in West Sumatra that stores enchanting natural panorama is Lake Maninjau. 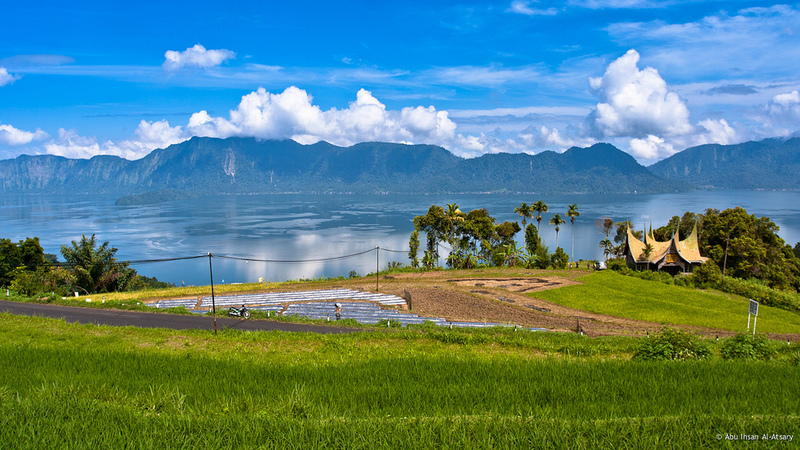 Historically, the lake was formed by a volcanic eruption of Mount Sitinjau that occurred approximately 52,000 years ago. Caldera that formed such an extent that later evolved into a lake. 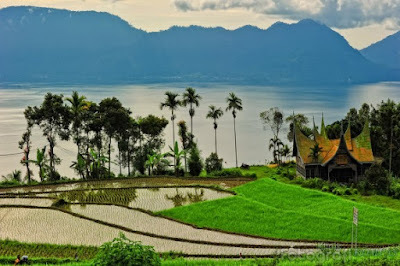 This is the same as it did in the Lake Toba in North Sumatra and Lake Batur in Bali. Maninjau Lake is a lake in the district of Tanjung Raya, Agam, West Sumatra, Indonesia. The lake is located about 140 kilometers north of Padang, the capital of West Sumatra, 36 kilometers from Bukittinggi, 27 kilometers from Lubuk cone, Agam regency capital. Maninjau is a volcanic lake is located at an altitude of 461.50 meters above sea level. Size Maninjau approximately 99.5 km² and has a maximum depth of 495 meters. 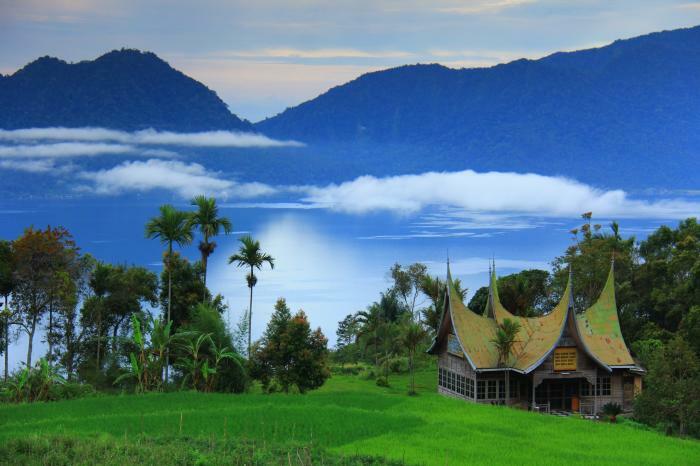 According to the legend in Minang, the existence of Lake Maninjau closely related to the story of Bujang Sembilan. Maninjau is a source of water for the river named Batang Sri Antokan. In one part of the lake which is upstream of Batang Sri Antokan there Maninjau hydropower. in the highest hill peaks around Maninjau known as Puncak Lawang. 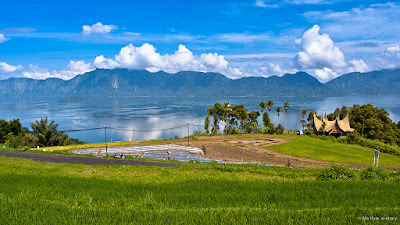 To be able to reach Lake Maninjau if the direction of Bukittinggi it will pass a winding road known as Curved 44 along approximately 10 km from Ambun morning to Maninjau. The lake is listed as the eleventh largest lake in Indonesia. 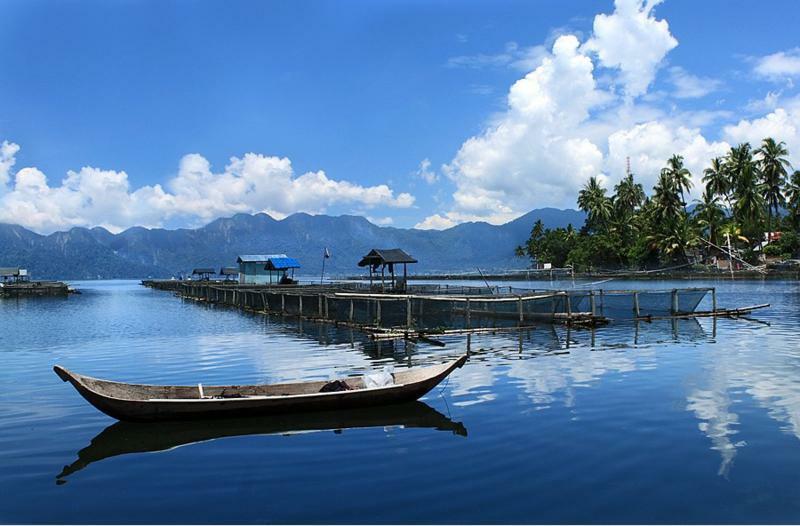 Meanwhile, in West Sumatra, Maninjau is the second largest lake after Lake Batur which has an area of 129.69 km² located in two districts which are Kabupaten Tanah Datar and Solok regency. Around the lake there Maninjau tourist facilities, such as hotels (Maninjau Indah Hotel, Pasir Panjang Permai) as well as lodging and restaurants. 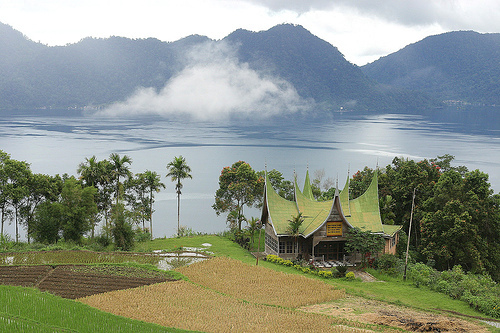 Lake Maninjau attractiveness lies in the beauty of its natural scenery can be seen from a distance. Therefore, it is not complete when discussing Maninjau without discussing the ideal spot to enjoy it. Especially for lovers of photography certainly do not want to miss the beauty of it without taking the best picture in maninjau lake. Administratively, Lake Maninjau is part of the District of Tanjung Raya, Agam, West Sumatra. Maninjau can be approached from the direction of Padang and Lubuk cone. 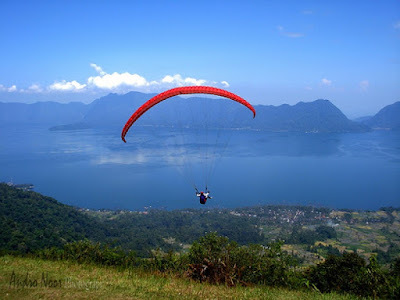 But the journey would be more interesting if it came from the direction of Lake Maninjau Bukittinggi, because at this point will be treated to the most amazing scenery along the winding or popularly called serpentine 44. Maninjau there at an altitude of 461.5 meters above sea level so that the surrounding air is quite cool and refreshing. The atmosphere around the lake Maninjau unspoiled and meetings with various trees suitable for someone who likes to find peace. 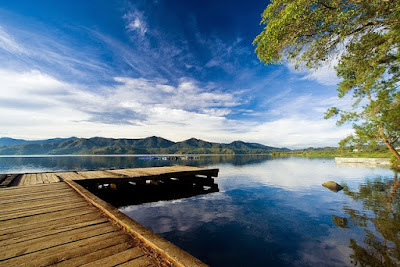 Lake Maninjau in peace is one of the renowned Indonesian writer, Buya Hamka, was born and raised. And the beauty of Lake Maninjau an inspiration for the novel Sinking Ship Van Der Wick made his name until today. 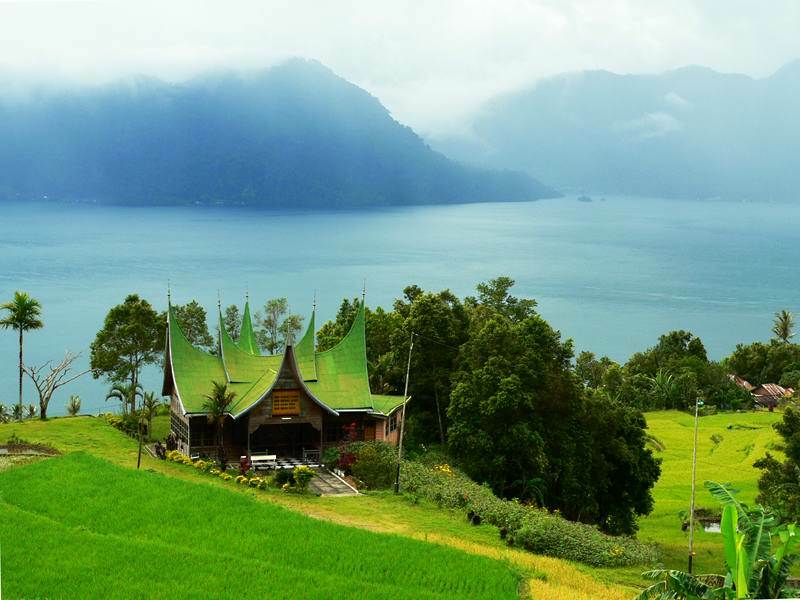 Stay in one of the resorts that offer breathtaking panorama over Lake Maninjau. In the morning we could swim in the crystal clear water and still clean. It could also just sit on the shores of Lake Maninjau, watching the fog drifting slowly down the hill toward the lake. There are also several motor boats and canoes that you can rent for sailing around Lake Maninjau.